Marta from Do Guincho is one of my best blogging friends. 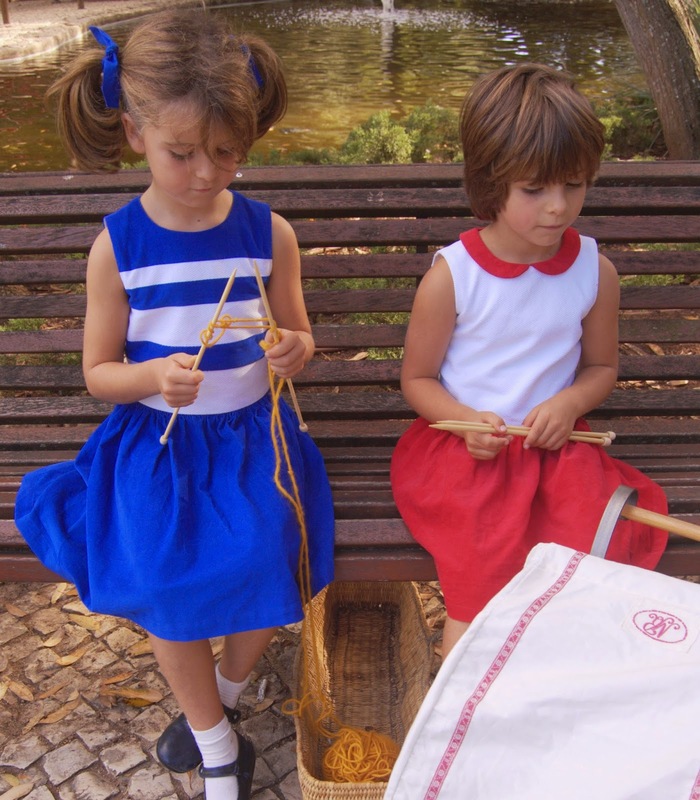 She lives in Portugal and loves to sew for her two sweet sweet daughters - Teresa and Ines. I love Marta's style and she is so nice!! She has one pattern for sale so far - her sweet bubble shorts, and would have more patterns I'm sure if she was not so busy with her day job. Marta is a super busy architect but also loves to sew when she can squeeze in some time. How awesome are these pants she made? Wow! I instantly recognised Marta's photo as an imitation of one of Marlier's illustrations. I can't wait to see more and for you to see how she was inspired. Head over to Do Guincho to see and if you like, you can enter our giveaway again! 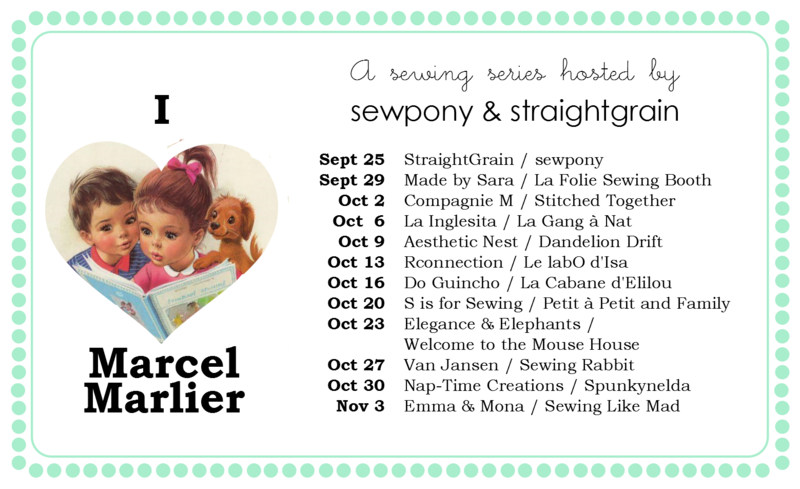 Head over to StraightGrain to find the details of Caro's creation! Thank you so much Marta and Caro!! Analog call wrist watches would be the conventional type of omega replica uk wrist watches. These types of breitling replica uk wrist watches show period through the constant motion of the hr hands, one minute hands, an additional hands. Electronic wrist watches possess gone through numerous modifications because it's intro within the earlier 1970’s. These types of breitling replica uk wrist watches these days, boast functions such as chronograph, noisy alarms, altimeter, measure, diary, compass, day show, calorie keep track of, lustrous, as well as water-resistant perform. These types of also have turn out to be main style cartier replica add-ons. Anybody, through women and men, in order to girls and boys are now able to increase their own assortment of style rolex replica sale along with fashionable electronic wrist watches. Nevertheless, before you decide to attempted to purchase a electronic view, it is best that you should straighten out several focal points -- simply to help to make buying simpler.